In the last couple of years, destination weddings have gained popularity. They’re an amazing opportunity to have the best time of your life celebrating your marriage with your closest friends and family. Since you’re in a different environment, they’re often free of the many distractions that keep us from focusing on the moment. 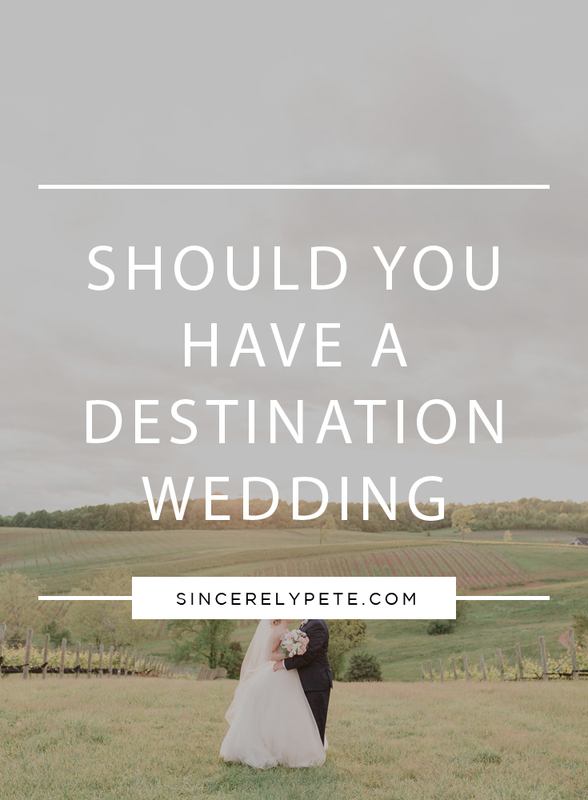 However, a destination wedding is not the right choice for every couple. Here are seven ways to know if you should have a destination wedding. You have the flexibility to travel. Hosting a destination wedding will require you to take more time off work and make a couple trips to your destination prior to the big day. If you don’t have the flexibility in your budget or work schedule, a destination wedding may not be the right option for you. Your family and close friends can travel. Attending a destination is more expensive for your guests. Before you plan your destination wedding, you’ll want to be sure your friends and family are okay with the increased expense. Additionally, if you have friends or family that can’t travel for other reasons such as health, you’ll want to be sure you’re really okay with them not attending before planning. You like the idea of an intimate wedding. It’s not easy to take 250 people to a foreign country. If you can’t find a way to get your guest list under 100, a destination wedding is probably not a good fit. When you get married in a different country, you’re subject to many of their customs and traditions. You may have to sacrifice in certain areas to meet local expectations. You love being immersed in other cultures. The most beautiful part about a destination wedding is getting to fully immerse yourself in the local culture. From the language to the food to the music, it’s an experience unlike any other. If you love experiencing foreign cultures, a destination wedding might be a great fit for you. As I mentioned above, destination weddings are often free of the many distractions that occupy us at home. They’re a great way to spend quality time together and reconnect while celebrating your big day. You want a wedding that’s uniquely you. If you don’t like the idea of doing the same thing as everybody else, a destination wedding is perfect for you. You can customize every aspect and, because you’ll have a smaller group, can focus your budget on the details that matter. Does a destination wedding sound like something you should do? Check out our sister company, Wanderlust Wedding Co. which specializes in exclusively destination weddings.